JUMLA, Oct 19: Dalli Dangi of Khalanga never had the privilege to go to school. Informal education classes did not ever come her way either. Towards her twilight years now, Dangi however has learnt to read and write, thanks to the access to mobile phones and internet services in this remote district. “In our time, mobiles were not there. It's an amazing tool, as you use it, you automatically learn more,” said an elated Dangi. “I had never thought that our generation would ever see and use such things,” she added. The elderly woman is particularly happy with the gadget because that has also brought her closer to her son, who lives abroad. They talk through skype and messenger, almost daily. “There was a time when we had to travel for a day to reach to reach telephone booth to make or receive phone calls. Apart from physical exertion, that was financially burdening,” she reminisced. 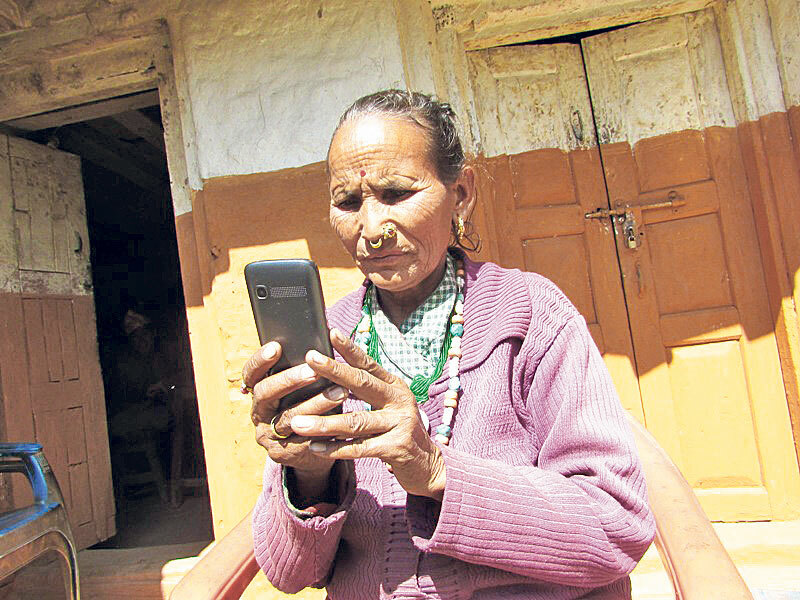 Lal Bahadur Buda of Malkathata who carries a smartphone stated that the digital power has brought dramatic changes in Jumla. There is hardly any household in the district now that lacks mobile phone and internet facility, he said. “I used to walk for an entire day - from my village to Khalanga - to make a phone call to my son who used to stay in Surkhet for studies. Each time, the trip would cost Rs 500 to Rs 1000. At the phone booth, we had stand in long queues that sometime would take the whole day for the turn to come,” he narrated, adding that people in Jumla and entire Karnali zone now enjoy phone and internet services for not only personal but professional uses, too. Communication facility has indeed changed people's life in Karnali. They say they now feel strange when they remember the days they would rely on pigeons for mail delivery. According to Ramananda Acharya, a local teacher, Karnali took a huge leap forward in communication services after the first people's movement. “In the past, people would send mails through pigeons. There was hardly any other way to get connected to relatives living far away,” said Acharya. “Towards the end of the 19th century some changes in terms of communication were felt. Gradually there came, radio, televisions and FM stations. But the entry of mobile phones and facility of internet simply brought a dramatic change,” he added. Acharya informed that the first satellite phone service was installed in Jumla in 2000. And the service was limited just to the District Development Committee (DDC) and District Administration Office. Later, DDC installed Public Call Office (PCO) service for the general public. People from remote parts of the district would make painful journeys to the PCO to make calls. “After standing in the queue for an entire day, the turn would come. Sometimes even that would not be guaranteed. And some other time, all the efforts would go in vain if the recipient did not answer the call,” said Acharya. 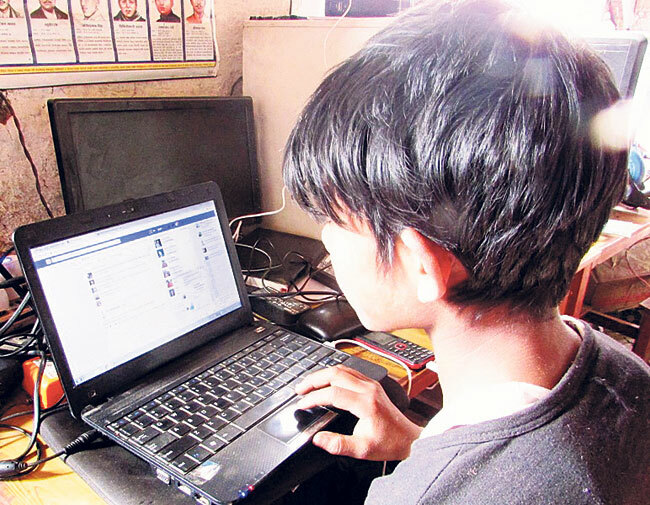 Santosh Sunar, a resident of Khalanga, Jumla, surfs Facebook at a cybercafe in this recent picture. Landline phone was introduced in Jumla a decade ago. However, this service was limited to Khalanga. Few years later, mobile phones started making appearance. The gadget was clearly a status symbol then. Gradually, the number of the mobile phone users grew and today, it is a household commodity in Karnali as well. “Mobile phone service has not only made people's life easy. It has greatly added to their professional achievement as well,” notes Ram Dutta Rawal, president of Jumla branch of FNCCI. 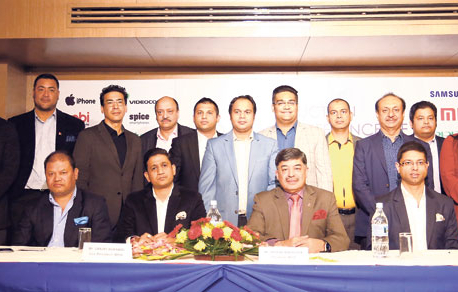 “Due to the easy access to communication services, businesspersons can now remain in touch with the events of local and international markets. It's easy to showcase and brand their supplies. Information on rates and qualities can be shared without making physical visits. And even bargains and deals are sealed over phones,” he explained. Rawal stated that several types of herbs and organic vegetables, fruits and grains are supplied out from Jumla. Similarly, the effective communication has added to the tourism boost, he said. According to Jumla branch of Nepal Telecom, around 1000 landline phones are in use in Khalanga currently. Over 4000 new sim cards are distributed in the district annually but the demand is still higher, an official at the Telecom said. “Around 7000 new sim cards are demanded in a year,” the source added adding that the majority of the mobile users have installed 3G internet service. Dangi said that the communication facility has added to the quality of her life by letting her get in touch with her son living in Malaysia. “Having to get in touch with your loved ones add to your satisfaction and health,” she said.